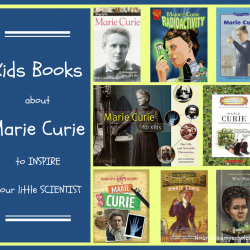 February 15th is Galileo’s birthday, so I decided to search out all of the kids’ books and fun resources to aid me in teaching our son about the man that designed the first pendulum clock. Galileo improved the telescope and thus discovered sunspots, tracked the phases of Venus, and puzzled over the rings of Saturn. He also went on to discover the four massive moons of Jupiter! 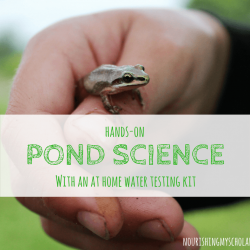 This is definitely a scientist our son wanted to know more about. 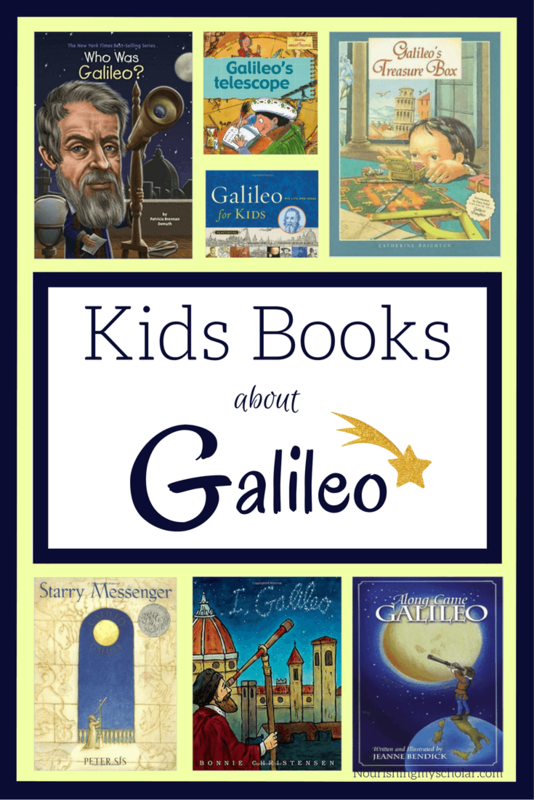 Check out all of these Kids’ Books about Galileo that we discovered! 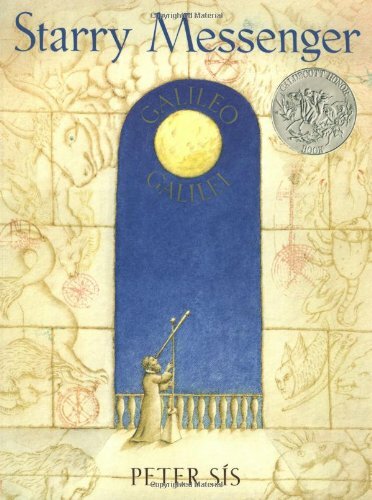 I, Galileo by Bonnie Christensen – Galileo tells his own story in this outstanding picture book biography. 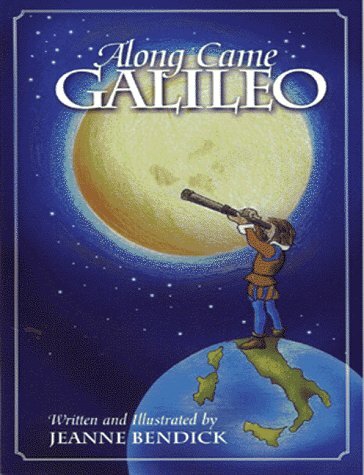 The first person narration gives this book a friendly feel that makes Galileo’s remarkable achievements and ideas completely accessible to young readers. 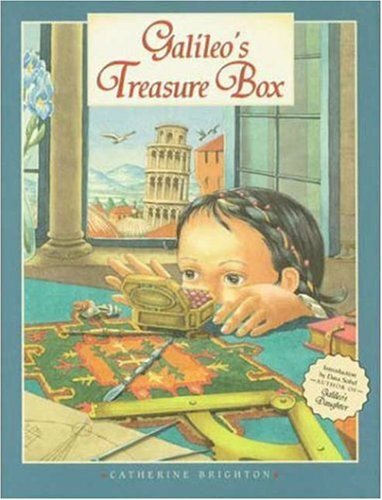 Galileo’s Treasure Box by Catherine Brighton – Virginia’s famous father, Galileo, sleeps during the day and studies the sky at night. While he is sleeping, Virginia discovers a box on his desk with five objects inside – four pieces of glass and a feather – that reveal the world to her in new and wonderful ways. 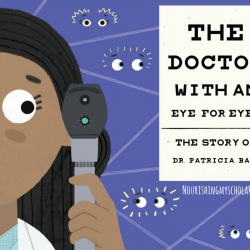 This child’s-eye-view gives young readers an enchanting introduction to the accomplishments of Galileo and delightfully celebrates the magic of science. Starry Messenger by Peter Sis – In every age there are courageous people who break with tradition to explore new ideas and challenge accepted truths. Galileo Galilei was just such a man–a genius–and the first to turn the telescope to the skies to map the heavens. In doing so, he offered objective evidence that the earth was not the fixed center of the universe but that it and all the other planets revolved around the sun. Galileo kept careful notes and made beautiful drawings of all that he observed. Through his telescope, he brought the stars down to earth for everyone to see. Who Was Galileo? 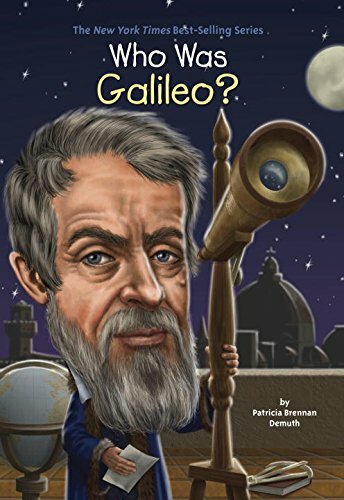 by Patricia Brennan Damuth – Galileo is another Renaissance great known just by his first name–a name that is synonymous with scientific achievement. Born in Pisa, Italy, in the sixteenth century, Galileo contributed to the era’s great rebirth of knowledge. He invented a telescope to observe the heavens. From there, not even the sky was the limit! He turned long-held notions about the universe topsy-turvy with his support of a sun-centric solar system. 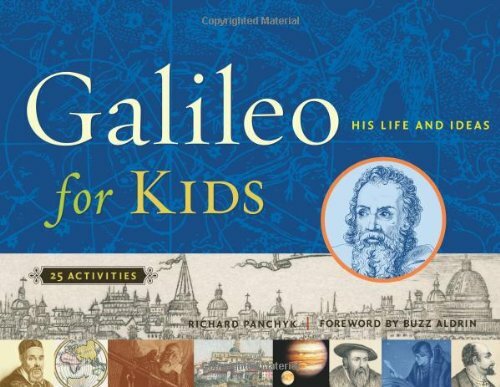 Galileo for Kids by Richard Panchyk – Children will learn how Galileo’s revolutionary discoveries and sometimes controversial theories changed his world and laid the groundwork for modern astronomy and physics. 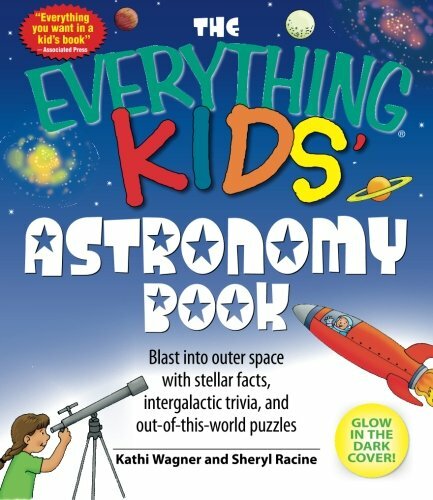 This book will inspire kids to be stargazers and future astronauts or scientists as they discover Galileo’s life and work. 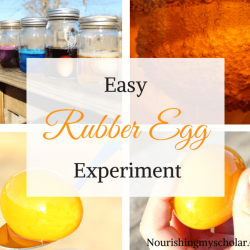 Activities allow children to try some of his theories on their own, with experiments that include playing with gravity and motion, making a pendulum, observing the moon, and painting with light and shadow. Along with the scientific aspects of Galileo’s life, his passion for music and art are discussed and exemplified by period engravings, maps, and prints. A timeline, glossary, and listings of major science museums, planetariums, and websites for further exploration complement this activity book. Along Came Galileo by Jeanne Bendick – One of the most important figures to come out of the awakening world of the Renaissance was Galileo Galilei. Often referred to as the “Archimedes of his time” Galileo was forever asking questions. Is it possible to measure heat? Is it possible to weigh air? Does the earth stand still or does it move? How fast do objects fall to the earth? 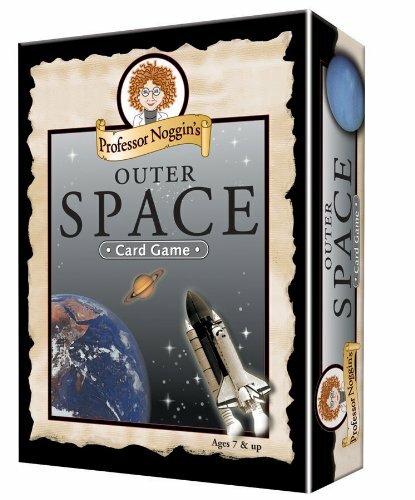 His questions led to some of the most important answers of the scientific world and to his contributions to astronomy, physics, and mathematics. Galileo also advanced the astronomical telescope and invented the compound microscope. He measured the rotation of the sun, invented the thermometer, the geometrical compass and the pendulum clock. 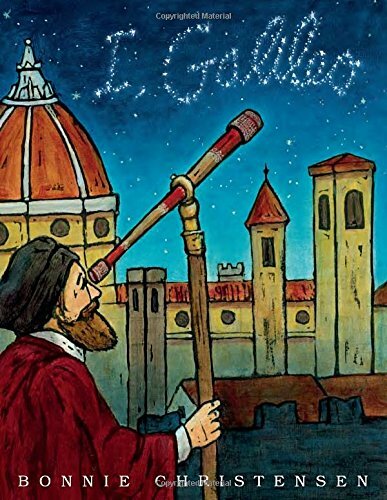 Galileo’s Telescope by Gerry Bailey – Local merchant Mr. Rummage tells the story of renowned astronomer and physicist Galileo Galilei after Digby and his sister discover Galileo’s telescope among the collection of flea market items. 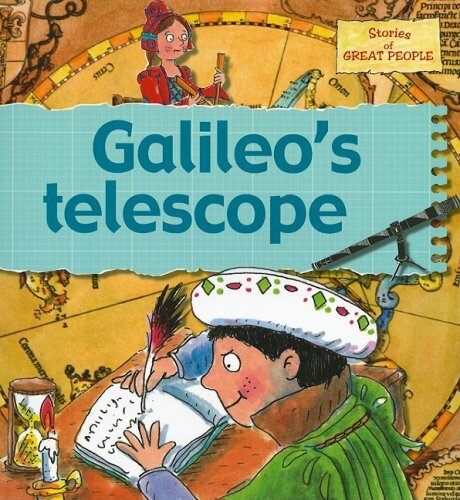 Inside you’ll find the factual biography of the Italian scientist, Galileo Galilei, within a fictional story-line, Galileo’s inventions and discoveries in a modern setting, a story encouraging involvement through drama and dressing-up. 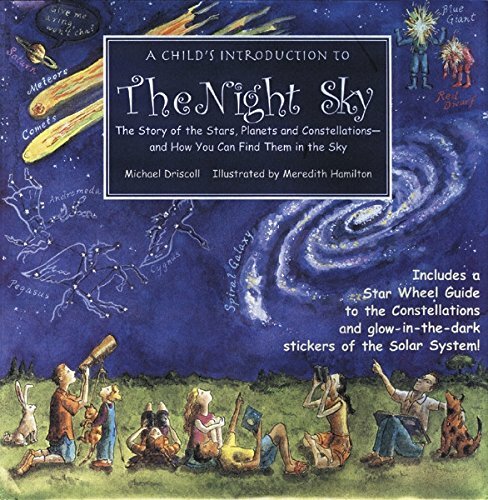 A Child’s Introduction to The Night Sky by Michael Driscoll – Children will enjoy this conversational but information-packed introduction to astronomy and stargazing, which includes the achievements of the great scientists, the history of space exploration, the story of our solar system, the myths behind the constellations, and how to navigate the night sky. Whimsical color illustrations on every page and handy definitions and sidebars help engage younger readers and develop their interest. The special star wheel helps locate stars and planets from any location at any time of year. Why the sun’s surface is 20,000-50,000-degrees Fahrenheit. 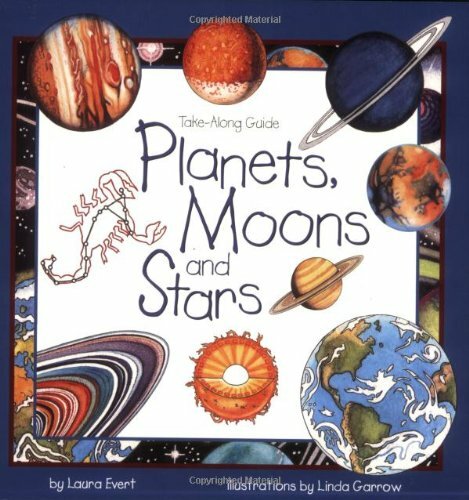 Planets, Moons, and Stars (Take-Along Guide) by Laura Evert – An introduction to the world of planets, moons, and stars. 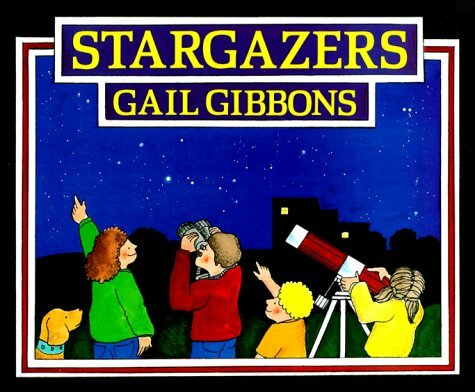 Stargazers by Gail Gibbons – A series of star-spattered night skies done in rich blues and purples gives this introduction to the universe and the practice of astronomy an appealing look. A diverse cast–ancient and modern, adults and children, scientists and amateurs–peer through lenses, or point and smile. 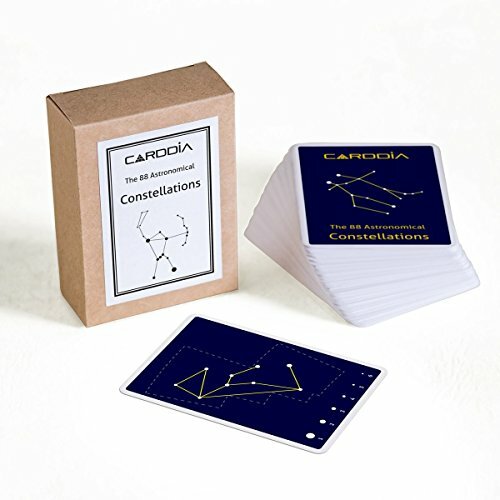 Gibbons discusses, in short, declarative sentences, the nature of stars and constellations, how to find particular ones and why they seem to move, two kinds of optical telescopes, and how a planetarium works, closing with a simple timeline and a page of random star facts. 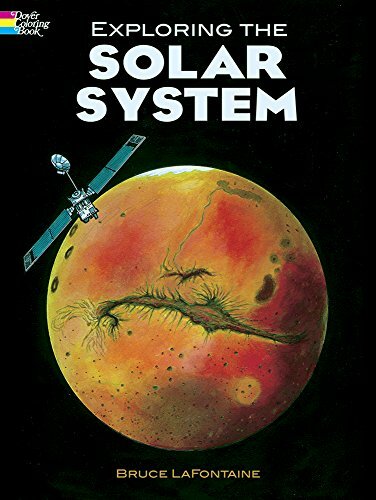 Exploring the Solar System (Coloring Book) by Dover Publications – Forty-four stunning illustrations, carefully researched and meticulously rendered, depict the geocentric and heliocentric solar system models; Galileo’s drawings of the moon; the NEAR (Near Earth Asteroid Rendezvous) spacecraft orbiting the asteroid Eros; an astronaut on the lunar surface with an “earthrise” overhead; the Magellan spacecraft penetrating the clouds of Venus to radar-map the continents; the enigmatic “face” on Mars; a U. S. space shuttle and its sleek successor, the Venture Star; plus representations of all the planets and much more. How to Make a Lego Telescope! 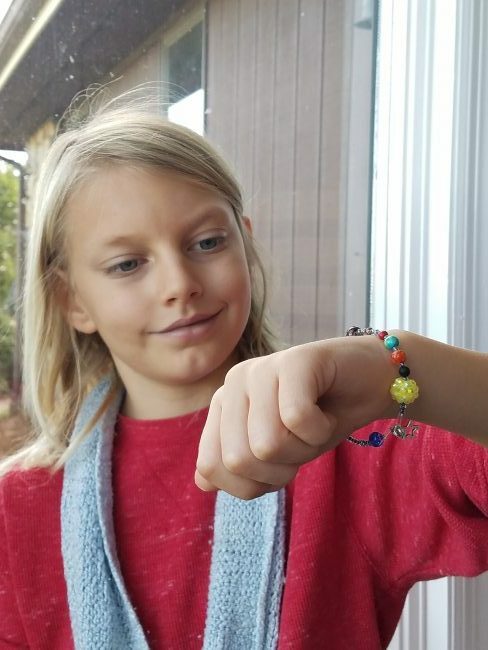 Watch as our son makes a Lego telescope for his Lego mini figure, Galileo!